The Terms of Business apply to Professional Clients and Per Se Eligible Counterparties of Standard Chartered Bank. (1) Kindly note that the countries marked with (^) are in the process of being updated. (2) Previous versions of the RCS and Terms of Business have been archived in a separate section below (Archive). The Group ("we", "us" or "our") needs to use and share client information to operate effectively including in connection with our provision of products and services to you and for the purposes of client servicing. The Group is obliged to comply with sanctions Laws including those of the United States, United Kingdom, European Union or any of its member states ("Sanctions"). Any breach of Sanctions may have a serious impact on our reputation, franchise, regulatory relationships and could impair the Group’s ability to provide products and services to and enter into transactions with clients. This Statement shall form part of any specific legal documentation governing a product, service or transaction that you have or may enter into with us ("Product Documents"). You consent to receiving this Statement and any other information relevant to you by way of letter, email or our website (irrespective of such information being personally addressed to you). Please read this information carefully. Should you have any questions, we recommend that you seek independent legal and / or financial advice. The most current version of this Statement (including translations) is available on our website. We may also provide other important regulatory information in relation to this Statement on our website or on any other website as notified by us. Where you have a Financial Markets relationship with the Group, information on the regulatory standards we adhere to and how it may affect you can be found on our website. We reserve the right to amend this Statement and any other important regulatory information provided to you on our website(s). We recommend that you regularly review the information on our website(s) as it may be updated from time to time. These updates shall apply to our relationship going forward and automatically. (b) in relation to derivative, repo, securities financing and similar transactions, cross-border recognition of the orderly resolution of a UK firm, prohibiting in-scope entities from creating new obligations or materially amending existing obligations under certain financial arrangements unless counterparties have agreed to be subject to a temporary stay on their rights of early termination and close-out ("UK Stays Rule"). (f) liabilities to critical commercial or trade creditors. The Terms of Business apply to Professional Clients and Per Se Eligible Counterparties of Standard Chartered Bank, these set out further information on regulatory obligations that apply when dealing with Standard Chartered Bank. 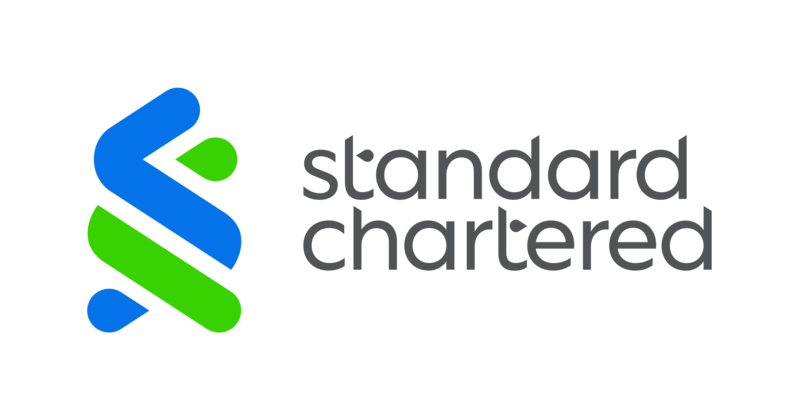 Standard Chartered Bank (“Standard Chartered”) is incorporated in England with limited liability by Royal Charter 1853 Reference Number ZC18 and the registered office is at 1 Basinghall Avenue, London EC2V 5DD. Standard Chartered is authorised by the Prudential Regulation Authority (“PRA”) and regulated by the Financial Conduct Authority (“FCA”) and PRA. The rules of the FCA and PRA (the “Rules”) and these Terms will apply to all transactions executed in relation to “financial instruments” (as defined in the Rules) (“Transactions”). If there is any conflict between these Terms and the Rules, the latter will prevail. You will be separately notified of your classification as a “Professional Client” or as a "Per Se Eligible Counterparty" (as defined in the Rules). You have the right to request a different categorisation and if we agree in writing to your request, your banking relationship with us may change. Professional Clients will be afforded certain regulatory protections by the Rules. The regulatory protections concerned include formal requirements in the following areas: (i) to act in accordance with the client’s best interests; (ii) not to give or receive inducements; (iii) to achieve best execution in respect of the client’s orders; (iv) to execute orders subject to other constraints as regards timing and handling relative to other clients’ orders; and (v) to ensure that information Standard Chartered provides is fair, clear and not misleading. Standard Chartered does not, as a matter of policy, undertake investment business with Retail Clients (as defined in the Rules). If you wish to be categorised as a Retail Client we will make arrangements for you to be contacted by Standard Chartered Private Banking division. We will not (i) make any “personal recommendation” (as defined in the Rules) to you about any Transaction; (ii) advise you on the merits or suitability of a Transaction (including your trading strategy) and (iii) provide you investment advice, unless expressly requested by you and agreed to by us in writing. All Transactions with you or those performed on your behalf are done on an “execution-only” basis (as defined in the Rules). Any trading decisions made by you are based on your own skill and judgement. In relation to Transactions involving a non-complex financial instrument (as defined under the Rules), we are not required to assess the appropriateness of such service and you will not be protected under the appropriateness regulatory regime. We may be required by Law to assess the appropriateness and / or suitability of Transaction(s) for “Professional Client(s)” or “Per-se Eligible Counterparty(s)”. For such Transactions(s), we can rely on the assumption that you have the necessary experience and knowledge to understand the underlying risks. You consent to (i) us executing an order outside an European Economic Area (“EEA”) Regulated Market, Multilateral Trading Facility or Organised Trading Facility (each of these terms are defined under the Rules) and (ii) instructing us to exercise our discretion as to whether to make limit orders public, where you give us limit orders in relation to shares in equities admitted to trading on an EEA regulated market and those orders are not immediately executed under prevailing market conditions. We may aggregate any order from you with the order of any other client, Standard Chartered or our Affiliates. Aggregation may operate to your advantage or disadvantage. We will not carry out a client order or a Transaction for our own account in aggregation with a client order if it is likely that the aggregation of orders and Transactions will work overall to the disadvantage of any client whose order is to be aggregated. Where you are classified as a Professional Client, you consent to your Transactions being handled in accordance with our Order Execution Policy. We will notify you of amendments to our Order Execution Policy, including material amendments, by publishing an updated version of the Order Execution Policy on our website at the link above. We will consider the continued placement of orders by you to constitute your continued consent to our Order Execution Policy as in effect from time to time. In relation to any Transaction we execute or arrange for you, where we have an interest, relationship, arrangement, or duty which is material or which gives or may give rise to a conflict of interest with your interest(s), we will take all necessary steps to ensure your fair treatment in relation to such Transaction and will manage any conflict of interest in accordance with our internal policies and procedures. For details on how we manage conflicts of interest and the nature of certain conflicts, please click here. Conflicts of interest will be regularly monitored and reviewed. We will update our disclosure where required. Money held for you in an account with us will be held by us in our capacity as a bank and not as trustee. As a result, the money held for you will not be segregated from our money and will not be held in accordance with the FCA Client Money Distribution and Transfer Rules ("FCA Rules"). In the event of our “failure” (as defined in the FCA Rules), the FCA Rules will not apply to these sums and you will not be entitled to share in any distribution under the FCA Rules. We do not offer custody service under these Terms. When transacting with us as agent or trustee on behalf of another person, we will continue to treat you as our client and you will be liable as such unless we have agreed with you in writing to treat any other person as our client. We may delegate the performance of any service to a third person(s) or employ such agents as we select on terms as we consider appropriate. We may enter into clearing arrangements with clearing brokers or clearing members of a particular exchange. The terms of our clearing arrangements with such agents (including any exclusions or limitations of liability) will be binding on you and may be directly enforced against you by such agents. We may treat as genuine and rely and act on any instruction(s) which we reasonably believe to have been given by you or any person authorised by you. We shall enter into Transactions in accordance with your instruction(s) unless we believe that such Transactions may not be practicable or might involve any party in breach of any Law. We shall not be liable for any loss, liability, cost or expense (“Loss”) that you suffer or incur as a result of our refusal to act on your instruction(s). Your instruction(s) are effective when we actually receive them and if we cannot process your instruction(s) we will notify you as soon as we can. We will try and stop or cancel a Transaction when you ask us to but we will not be responsible if we cannot do so. We shall not be under any obligation to quote, execute or otherwise enter into any Transaction, or to accept and act in accordance with any instruction(s), except to the extent this is explicit in the service we hold ourselves out as providing to you. You will be solely responsible for, and agree to indemnify us in respect of, any Loss (including legal expenses) or penalty suffered or incurred by us as a result of any errors in your instruction(s) to us. The nature, frequency and timing of reports that we shall provide to you on the performance of services by us shall be in compliance with the applicable Law. We may disclose to you reporting information on our website(s) from time to time. Confirmations will, in the absence of manifest error, be conclusive and binding on you, unless we receive an objection in writing within five (5) banking days of dispatch to you or we notify you of an error in the confirmation within the same period. We may charge you fees, commissions and other costs and expenses incurred by us in relation to the services we provide on such basis as shall be agreed with you from time to time. We will disclose to you the relevant fees, commissions and other cost, charges and expenses information by way of letter, our Product Documents, email and / or on our website(s). The time for payment in respect of any Transaction shall be the settlement date agreed between us and you or, in the absence of specific agreement, the day and time customary for the settlement of the relevant Transaction in the relevant market. Our obligation to settle any Transaction is conditional upon receipt by us on or before the due date for settlement (or satisfactory confirmation of such receipt by our agent) of all necessary documents or funds due to be delivered by you or on your behalf on such due date. If you fail to pay us any amount when it is due, we may charge you interest (both before and after any judgment) on any unpaid amount calculated at the rate as reasonably determined by us to be the cost of funding such overdue amount. Interest will accrue on a daily basis and will be due and payable by you as a separate debt. We may deduct or withhold all forms of tax (whether of the United Kingdom or elsewhere whenever imposed) from any payment if obliged to do so under the Rules and applicable Law. In accounting for tax or making deductions or withholding of tax, we may estimate the amounts concerned. Any excess of such estimated amount over the final confirmed liability will be credited or sent to you as soon as reasonably practicable. In the course of providing services to our clients, we may pay or receive fees, communications, or other non-monetary benefits from third parties. We will provide you with details of such amounts upon your written request. We are not liable for any Loss or indirect or consequential loss that you suffer or incur in connection with any service or Transaction (including any act or omission on our part) or Force Majeure event. We remain liable for your direct loss caused by any fraud, negligence or wilful misconduct on our part. (i) other circumstance beyond our reasonable control. We will generally communicate with you in English, unless otherwise required by Law. We may generally communicate with you through a variety of methods, including post, fax, email or such communication channels agreed by us. Subject to any applicable Law, we may use voice-recording devices in connection with any communication between you and us and may do so without the use of a warning tone. We may also keep records of electronic communications between you and us, and use the records in any dispute in connection with the Terms. Such records will be our sole property and accepted by you as evidence of the orders and any instructions given or such other communications. A copy of such recordings and communications will be available on request for a period of five (5) years, and, where requested by the FCA, for a period of up to seven (7) years. As part of our provision to you of certain products or services or Transactions, and where you have provided us with financial instrument assets to hold for you in safe custody (in accordance to the Rules), you consent that we may enter securities financing arrangements in relation such financial instruments (including those held in an omnibus account by a third party) or otherwise use such financial instruments for our own account, the account of another client, or any other person. We will provide to you important information about risks associated with financial instruments by way of letter, our Product Documents, email and / or on our website(s). We have internal procedures for handling complaints fairly and promptly. We can provide you with further information on our complaints procedures at your request. There is important regulatory information in relation to these Terms which is relevant to you on our website. We recommend that you regularly review the information on the website as it may be amended and updated by us from time to time. This information (including any updates) will apply automatically to our relationship going forward. Please find below the previous versions of the Regulatory Compliance Statement and Terms of Business. Click on (+) to show the full list of documents for the relevant period.